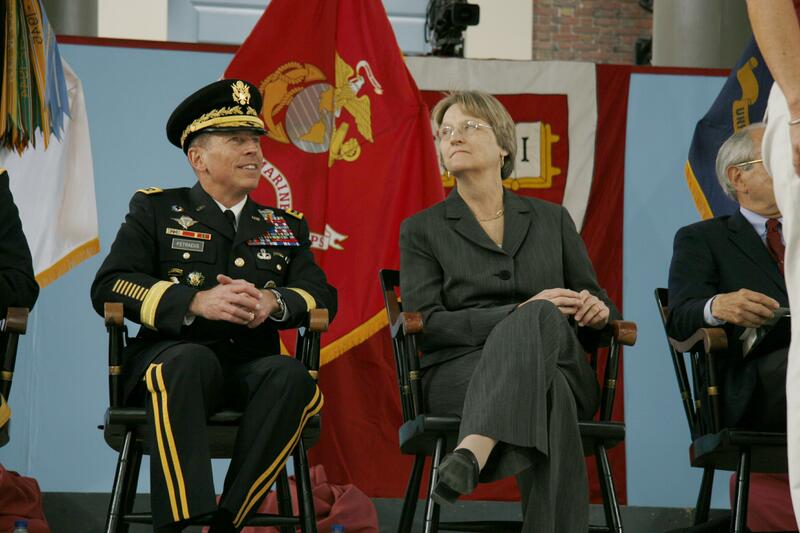 GEN David Petraeus sits next to Harvard President Drew Faust at a 2009 military commissioning ceremony. While Harvard is often described as “expelling” ROTC in 1969, the story is more nuanced. After the military refused to meet Harvard’s standards on academic coursework, the faculty voted to relegate the program to an extracurricular activity, and the military decided to leave. Contemporaneous accounts by ROTC professors at Harvard make clear that the 1964 law was central to the deliberations at the time. Three months before the 4 February 1969 deliberations and vote by Harvard’s faculty, Col. Robert H. Pell, professor of Military Science at Harvard, wrote to Harvard’s Committee on Educational Policy that “reasons for wanting to destroy ROTC are patently contrived because they are exactly the same reasons that existed without challenge for 50 years before Vietnam clouded our vision and robbed our logic”. He discussed in detail both the constraints of the 1964 law and the eagerness of the military to have courses of the highest academic quality. Moriarty said that he could only interpret the Faculty’s decision on ROTC as withdrawing ROTC’s “invitation” to remain at Harvard. He added that the Faculty is mistaken if it expects NROTC to violate Federal law or to go to Congress to change the law. Correspondence between Franklin L. Ford, Dean of Harvard’s Faculty of Arts and Sciences, and Nathan M. Pusey, president of Harvard on 11 February 1969 and 14 February 1969 confirm that the university understood that the faculty vote on “faculty control of curricular offerings and academic appointments” had removed the legal basis for Harvard’s ROTC programs. In contrast, other top universities, including MIT and Princeton, found ways of dealing with the criteria in the 1964 law about faculty appointments and courses. These universities managed to keep their ROTC programs. The institution will confer the title, Director of Army Officer Education Program, on the senior Army officer assigned to the Army ROTC detachment, indicating a rank equivalent to the senior academic rank of professor, including the prerogatives and privileges associated with the position of a professor or director as head of a department or program at the institution. the Corporation would offer professorial appointments to the ROTC unit heads, quite outside the structure of this [Arts and Sciences] Faculty. Nothing came of that idea, and the military complied with the 1964 law and withdrew all ROTC programs from Harvard. On the issue of the “course of military instruction”, many ways of creating enhanced “ROTC+” programs for top colleges were discussed or implemented. In 1958 at Harvard, the army added courses to the ROTC curriculum taught by a young lecturer in the Government department, Henry Kissinger. The purpose of this experiment, according to [Col. DeVere P.] Armstrong [professor of Military Science and Tactics], is to give future Harvard officers a much broader viewpoint on world affairs than the straight military reserve training provides. The University’s program is considerably more difficult than the average Army ROTC course, and thus provides its students with a better quality of training. For the first time since the Reserve Officers Training Corps (ROTC) was kicked off campus in 1969, cadets this fall will be able to take a Harvard course for military credit. 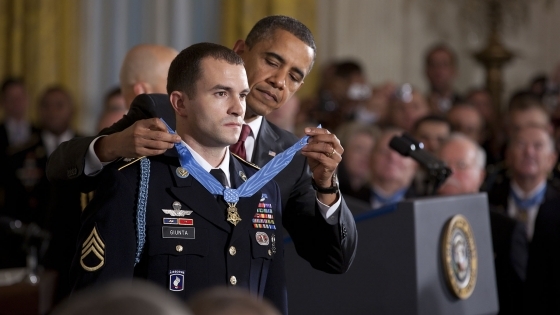 Former cadet Brian R. Smith ’02 and Col. John Kuconis, who commanded the Air Force ROTC detachment at MIT before retiring this summer, led the effort to win ROTC headquarters’ approval of Government 1730, “War and Politics” to fulfill the Air Force’s sophomore military history requirement. Smith, who had suggested the course to Kuconis, asked the University to promote such ROTC waivers in a successful Undergraduate Council bill in May, saying they would ease the travel burden on cadets while giving them the opportunity to learn from world-class Harvard professors. Other ways of achieving joint university-ROTC credit were discussed during deliberations in March 1969 about ROTC at Columbia University. The possibility was raised of university credit for courses taught by ROTC commanders as long as the courses were also “listed in the offerings of a regular academic department”. Nothing came of that idea and the military complied with the 1964 law and withdrew all ROTC programs from Columbia. In the past two decades, the Army has shrunk the resources devoted to its Reserve Officers’ Training Corps programs — a primary source of new officers — at colleges in a number of states and large urban areas. According to public Army documents, the reductions were particularly sharp in the Northeast, which had 50 ROTC programs in 1987. That number is down to 27 today. These closures were part of post-Cold War drawdowns and budget cutbacks, but the selective pattern of the reductions amounted to a nationwide realignment of ROTC resources. The military may be more comfortable when it retreats to parts of the country with a disproportionate number of military installations — and where universities don’t ask a lot of questions. That sense of comfort, however, works against a military with a desperate need for a more diverse officer base and a wider variety of language and cultural skills. Leaving out the 1964 law from the history of ROTC in the 1960s is a serious omission since it ignores the fact that many top colleges knowingly removed the legal basis for ROTC, and thereby left the military no option under the law but to leave. However, we should also credit top colleges with planting the seeds for the enhanced “ROTC+” programs of the future. There is much value in the ROTC+ vision of high quality courses with joint university and ROTC credit, whether taught by regular faculty or ROTC commanders. There is much for both the universities and the military to do to bring about this ROTC+ vision, a theme discussed in some detail by recent Columbia graduate and Army veteran Eric Chen. Universities should extend their high academic standards to cover military-related areas, upgrading their often spotty faculty expertise in such areas. They should declare their openness to having ROTC programs on their own campuses, and giving formal recognition to participation by their students in cross-town programs if the military prefers such a consolidation, including appropriate course credit along the lines of the ROTC+ model. The military should welcome the opportunity to learn from world-class faculty at top colleges, and use this opportunity both to enhance traditional military-related courses and to experiment with courses in areas of newly appreciated importance such as anthropology and game theory. It is time to put the enmity of the 1960s behind us. For universities, it is time to act upon their desire to provide top-level training in all areas, including those related to the military. For the military, it is time to welcome the chance to have an ROTC+ “laboratory of the universities” in which to train promising young officers and develop a curriculum that can be applied more widely. 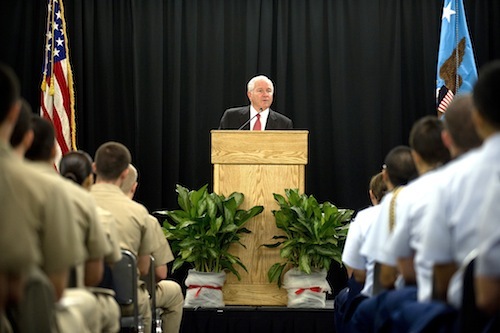 On August 12th, the Navy Times, which has been closely covering the DADT survey sent out to 400,000 service members last month, reported that only a quarter of the troops returned the survey in advance of the August 15th deadline, leading Secretary of Defense Robert Gates to issue a statement pleading with troops, “If you have not yet responded, please participate. Your response will help us assess the impact of a change in the ‘Don’t Ask, Don’t Tell’ law”. In light of the low response level for such a seemingly controversial and time-sensitive issue, it begs the question, why are troops not responding to a survey that could help smooth or derail the path towards DADT reform? One factor is simple and straightforward: time. Simply, people are busy, and a long and relatively repetitive survey that requires them to think back to their past experiences with gay service members does not fit easily into a busy schedule. It is quite easy, for someone who does not have strong feelings on this issue, to consciously choose to leave the “voting” up to others. That leads to the other main reason that comes to my mind: passion. Policy makers assumed that because they are required by their constituents to have a passionate view on DADT, that everyone has a passionate view on the issue. The truth is that many Americans have no clear view on this issue, and service members are no different. One can feel that being gay is wrong, but still be respectful enough of our founding principles to accept an unpleasant (to them) reality. 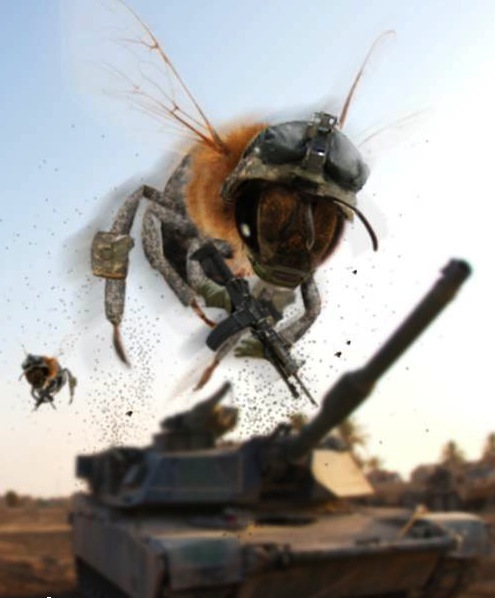 Much of the debate so far has revolved around the impact of gays on unit cohesion under high stress, enclosed environments or combat situations, where unit cohesion is of great importance. In those cases, much like the decision to add women to submarines, caution is warranted, so long as it does not serve to obstruct progress. It is understandable that service members in those settings might have a strong opinion on this issue. But many service members don’t serve in those types of situations. They may be shore side administrative staff, vehicle maintenance crew, or, like myself, a public affairs specialist. These issues just don’t have the same affect on mission readiness for them, which I believe has contributed to the surprisingly low level of participation on a survey that has been impossible to avoid about during the last month. I was not invited to complete the survey, though I read a copy of it in July, but I do feel very strongly that DADT needs to be reformed. The survey itself was an imperfect creation, clearly created by a committee. Yet, given the issue and the stakes, the survey did a very passable job of allowing the respondent to come to their own conclusions, and not be led along a certain ideological path. The one serious concern I have is the line of questioning that asked respondents to share their opinions on how others in their unit felt about gays. In court, this would be thrown out in a second, and with good reason. If I was, say, a raging homophobe, it would be in my best interest to claim that my entire unit was disgusted by the presence of a gay service member. Or I could state the opposite if I personally had no issues with gay soldiers. The survey would have been best presented by focusing solely on the direct knowledge and beliefs of the respondent. As a Navy reservist, I did submit comments through the voluntary website created for all service members and their families to share their thoughts., which has notably received 67,000 short responses. While I echoed the most mainstream arguments about civil and human rights, I focused my comments on a point that has received little mention in the media coverage: what happens when a civilian joins or serves alongside a military where gays don’t “exist”. As a reservist, I have a civilian life. In that civilian life, I encounter gay men and women on a daily basis. Growing up in urban coastal cities, I grew up around gay men and women, and saw friends come out as they discovered their true proclivities. To me, while it differed from my own experiences and preferences, it was a normal part of my life. We talk of the shock service members will face if gays are suddenly able to be open about their sexuality (which I doubt will be as severe as critics predict; they overestimate human ability to hide one’s true nature from one’s closest acquaintances. 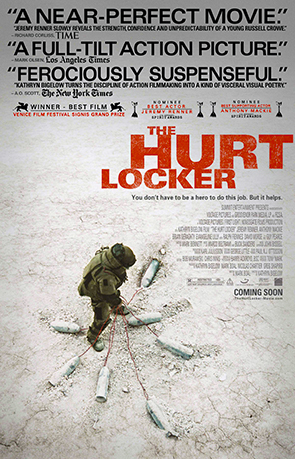 My personal belief is that every gay service member has unit members who know or think they know the truth), but what about the shock currently faced by the millions of men and women who straddle the civilian and military worlds, and who know that there are second-class citizens on one side of that divide? It is extraordinarily difficult for me to accept that putting on a uniform makes gays suddenly disappear from the world. Ultimately it is in the best interests of the nation and of the military to allow gays to serve openly in the military, without threat of disgrace or need for disguise. And I believe that the low response rate to the survey, which I read as indicating a lower level of passion about this issue than otherwise assumed, only reinforces the argument that the repeal of DADT will have a minimal negative impact on general unit cohesion and readiness, and that the majority of the men and women in uniform already understand that, despite their personal beliefs about homosexuality. This is an exciting time for the future of equality in the armed forces – women and minorities are putting on one, two, three and even four stars; women will soon begin serving on a trial basis on SSBNs; the Navy continues to beat Army in football (no, that’s not equality, that’s just a happy fact); and we may soon take the next big step toward creating a military that mirrors civil society in its equal treatment of all citizens.